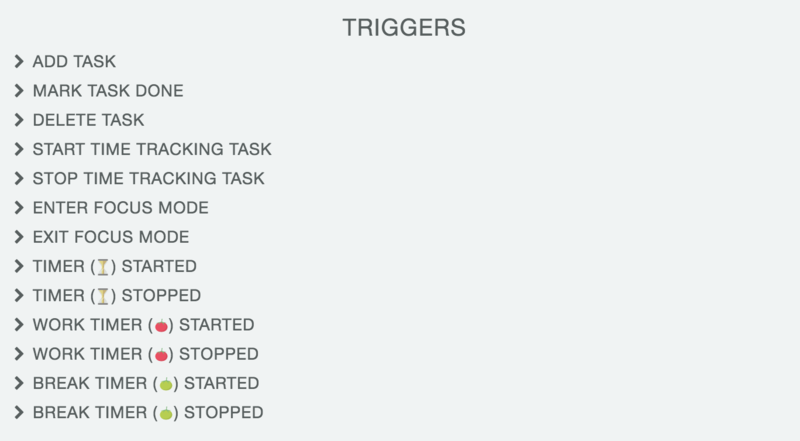 System Triggers let you run programs or execute commands on your computer when you create a task, complete a task, start a timer, etc. This can be used to interface with other programs or automate your workflow. As soon as you click outside the box, the trigger is saved, and will be executed as soon as a break timer starts!